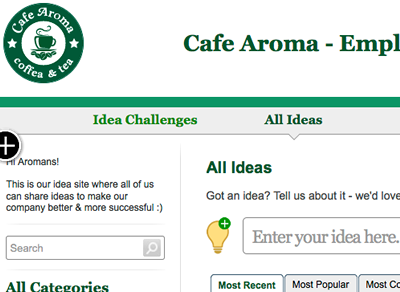 Set Up Your Own “Idea Site” – In Just 15 Minutes! 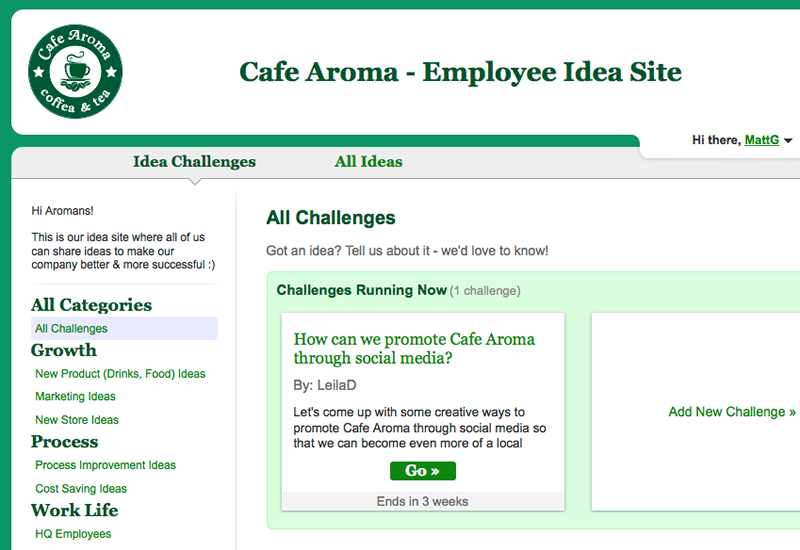 Set up your own Idea Site – a branded website for collaborating on ideas with your user community. 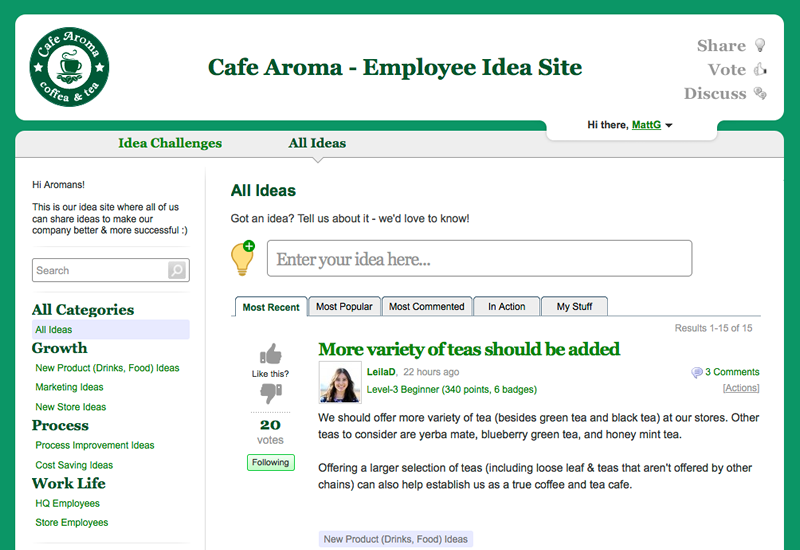 Create and launch Idea Challenges focused on the top priorities of your organization – such as the top problems and/or opportunities. 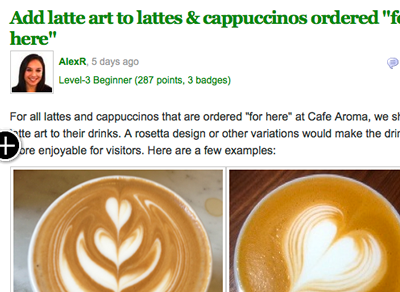 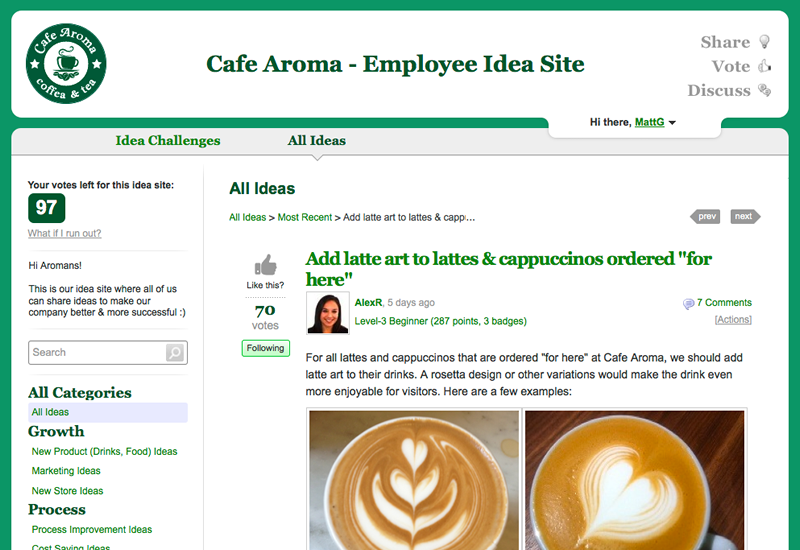 Capture ideas from your user community over the web, using your idea site. 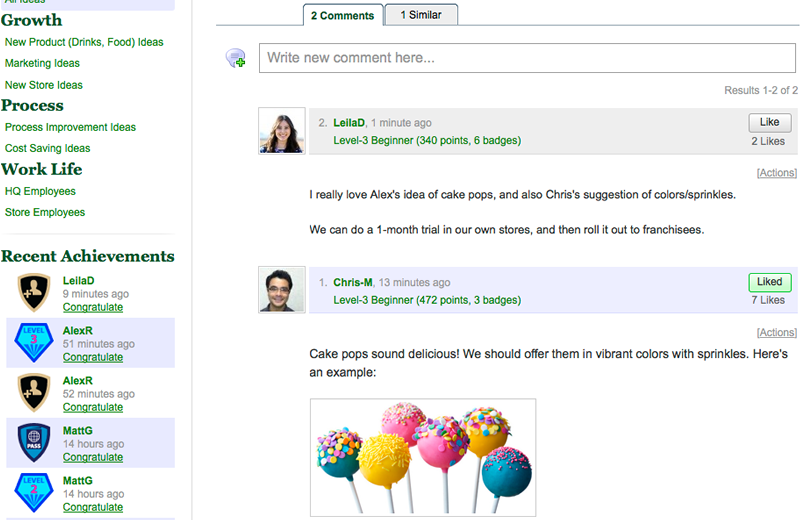 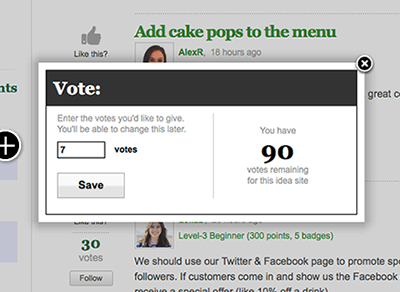 Enable the members of your user community to vote on ideas they like the best. 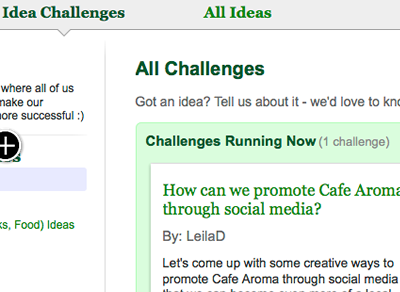 Enable your users to collaborate with each other via discussions, likes, follows and other “social” features – to flesh out ideas. 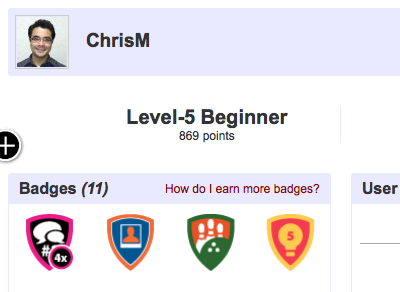 SmartRewards system in IdeaGlow rewards your users with carefully designed virtual rewards – such as badges & points. 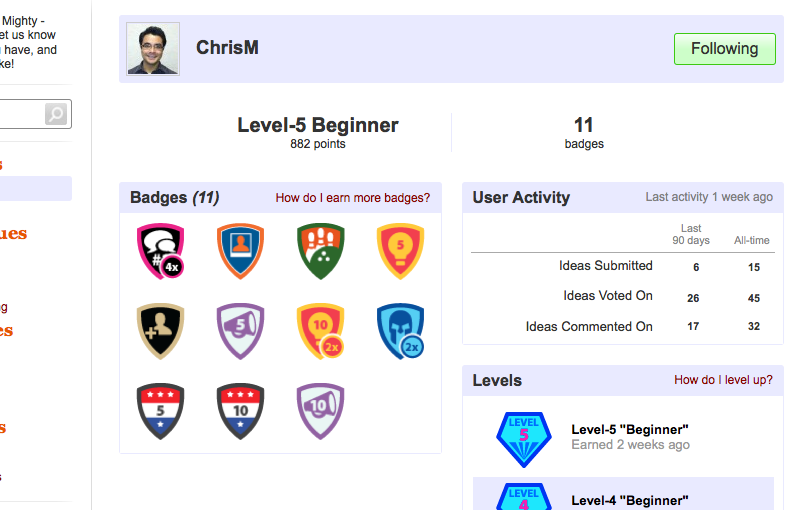 SmartRewards keep your users engaged & motivated – and increase the activity on your idea site – leading to more ideas, more collaboration & more success! 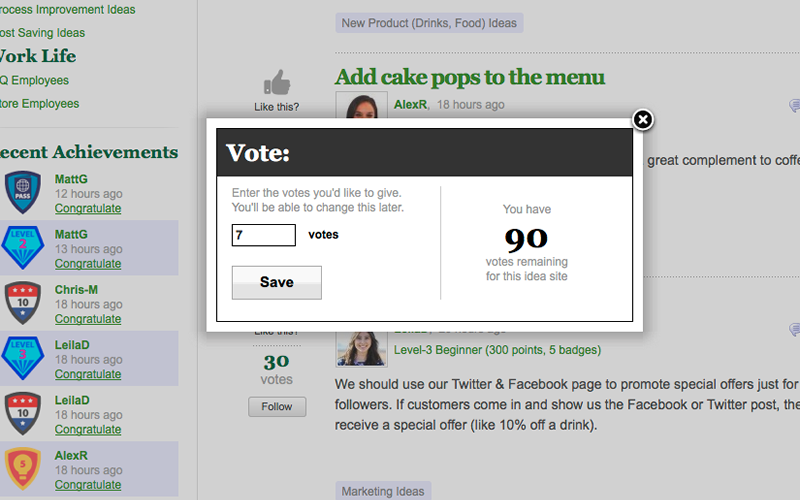 Ideas that get more votes rise to the top automatically – driven by the collective desires of your user community. 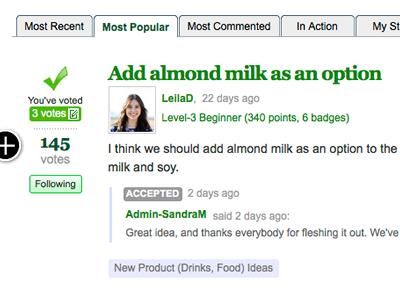 Identify the most popular ideas easily. 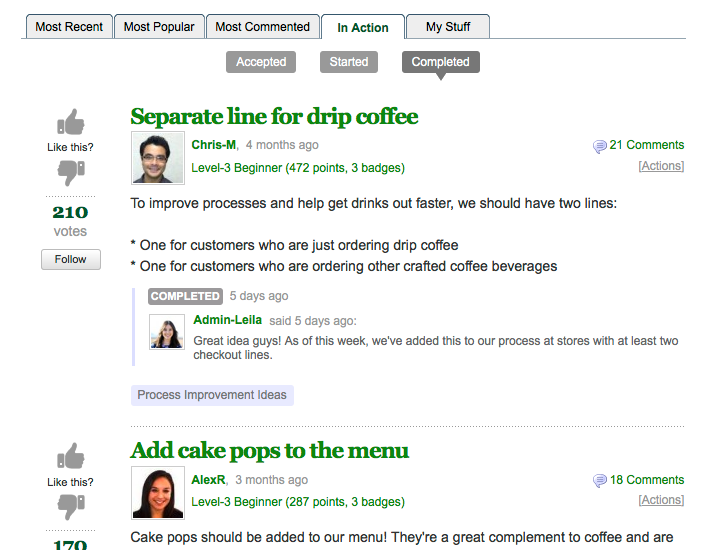 Act on the best ideas – by easily exporting them into your project management, product development, or other tools. 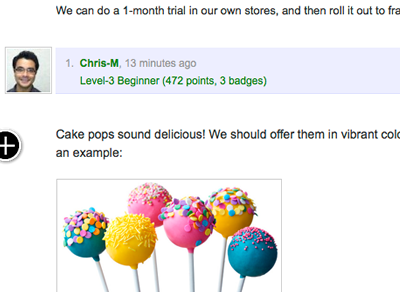 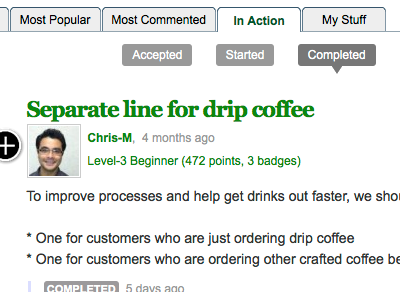 Reward users who submitted ideas that are implemented, and keep them engaged. 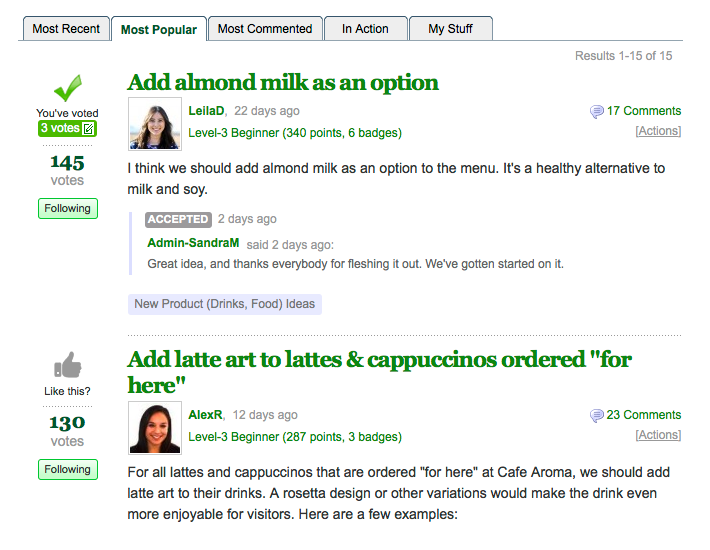 IdeaGlow has many other powerful idea management features.